The design ideas for your bathroom are as much about selecting products that provide peace of mind as they are about your preferences in décor. The daily comfort you experience from added convenience is as important as the materials, textures and colors within your environment. 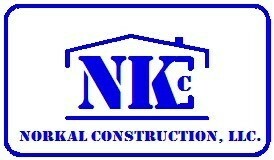 Norkal Construction can help guide you through the aspects of design, choices in products to use, and the overall feel you are looking to create in your new or existing space. Think of us as your personal remodeling experts. We can make your experience in creating your new bathroom an easy and relaxing task. You can trust in our professional team to turn your dream into a reality because we are one of the top bathroom remodeling contractors NorKal Construction has to offer. Your bath space is your personal sanctuary, a calming retreat where you can relax and rejuvenate. It is an integral part of your overall wellness, and prepares you for-and provides an escape from-your daily routine. We have an abundance of options to create that space you so desire, from a simple bath to a dream spa. You can shape your project around your budget, choosing from standard bath accessories or top notch luxury products. We have the perfect solution for your bathroom needs and wants.